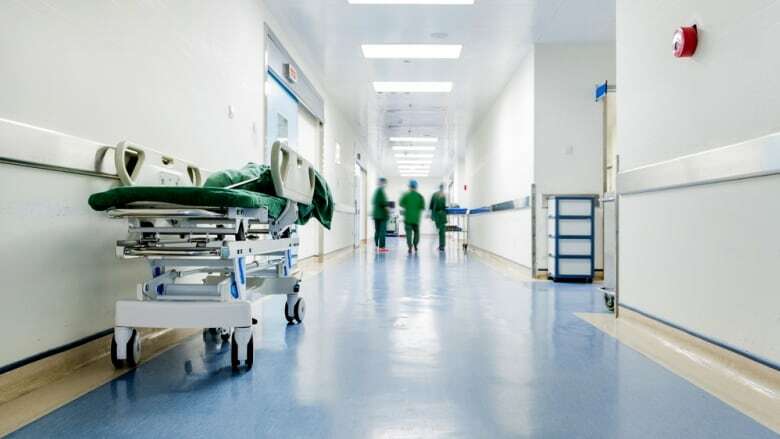 The Liberal government in Nova Scotia tabled legislation Tuesday that would make the province the first place in North America to have presumed consent for organ donation. Under the proposed system, people who do not want to donate their organs will have to opt out. Cindy Ryan knows to the day how long it's been since her life changed thanks to an organ donation, and what that change has allowed her to experience. "My 50th birthday celebrated in hospital and a few more since," said the Westville, N.S., resident. "My daughter becoming vice-principal. My son graduating from St. F.X. My step-daughter becoming a nurse. My grandson starting high school. "My first date with the man who is now my husband, and our wedding, which gave me another son and granddaughter. The list goes on and on. In fact, it is 1,979 days long and counting." Ryan was hospitalized in 2013 with a virus that attacked her liver. She fell into a coma, and her family was told she had four weeks to live, but then she "hit the lottery" and received a liver transplant. "Although many things have changed in the last four years, I am enjoying life again," she said. Dr. Stephen Beed, medical director of the province's Legacy of Life and critical care organ donation program, called Tuesday "a very good day" for the province and the program he helps run. "It's the only good we can offer to a family that's going through the worst days you can imagine in certain clinical circumstances, and we all understand the benefits for the recipients," he said. But while the idea has been pursued for some time — and the former NDP government even passed, but did not proclaim, a similar bill in 2010 — Beed said it wasn't until very recently that the organ donation program was in a position to be able to support such a change. "I want to be able to say to every Nova Scotian wherever you live that the donation opportunity is going to be the same irrespective of your postal code," Beed said. "I'm not sure we can say that credibly today, but I want to be able to say that in 12 months or in 18 months. We have a chance to take what I think is a very good program and make it what I hope will be the best program in the country." "We know that the health-care communities across this province are populated by clinicians who didn't get training and education during their nursing school, their medical school, their residency on donation," he said. "So, we don't have a community that's as informed around the donation topic, if you will, as we'd like." Better recognition is part of improving the system, said Beed. The plan is to have experts in a central location who can support colleagues in more remote places, as well as to place local experts within the province's regional hospitals so there is support for staff on site. "That will require significant education and training, and it's going to be a long-term, continuous type of a process." "That doesn't always translate into the actual act of giving," he said. "We know that there are many ways that we can continue to improve the system that we have." McNeil pledged to put the necessary services in place to allow the province's donor program to live up to the promise of the legislation. 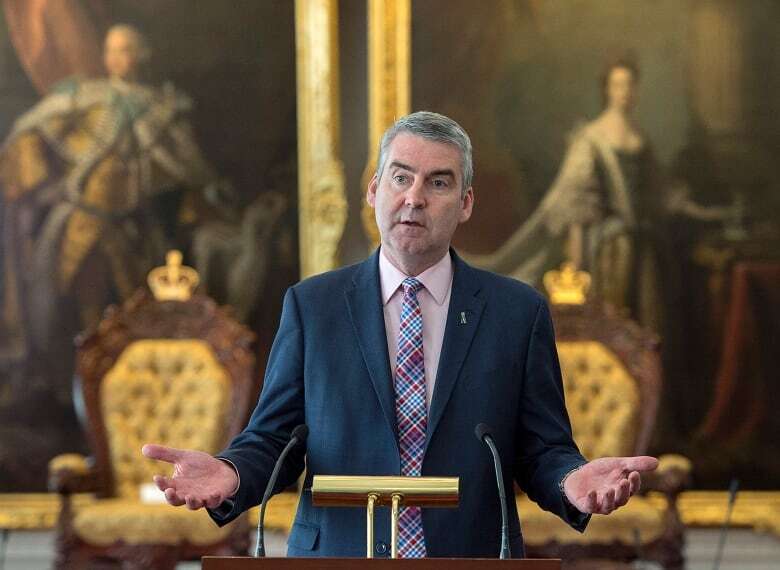 "We know that in many parts of our province — including the one I live in, which is a rural part of Nova Scotia — we have work to do," he said. "I will make sure that the work that is required to build the system and supports around this will happen." Beed said that while they don't know for sure what the change will mean for donations, areas in Europe that have made the change have seen donations go up by as much as 35 per cent. He cautioned, however, that such progress doesn't simply come because of a law. There must be the necessary support for the system in place, too. As for Ryan, she said she's spent her second chance at life trying to pay it forward. That means acting as a public advocate for organ donation, along with her sister, "practically pulling people off the street to become blood donors" and starting a Nova Scotia branch of the Canadian Transplant Association. She's even permanently tattooed her message on her arm. 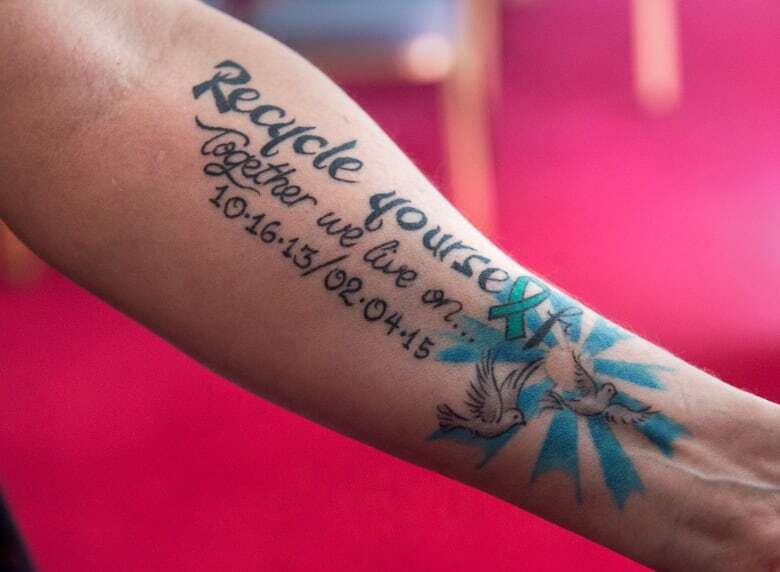 "So many changes in my life, so many things to be grateful for everyday, and all because someone I'll never have the honour to meet gave me the most generous gift of all - the gift of organ donation, the gift of life."